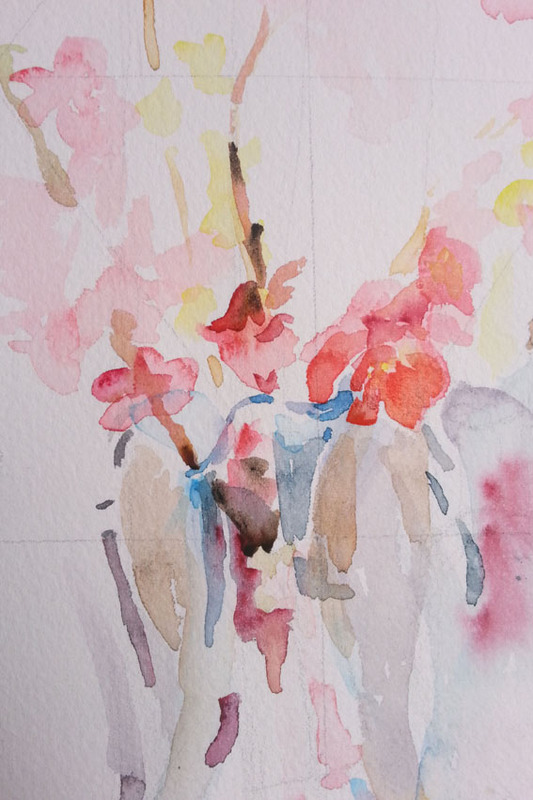 The Watercolor Process of Spring Flowers. 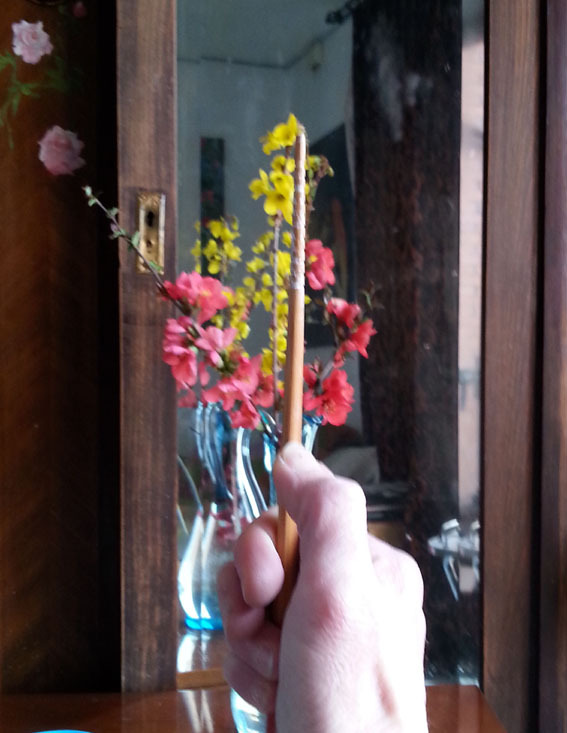 First I measure the vase against the flowers to see how many times the vase fits into the flowers. 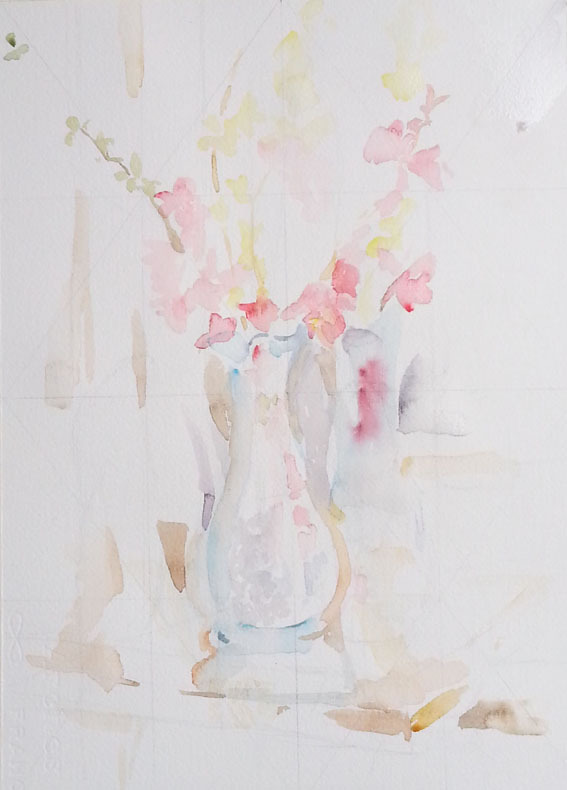 Then I place the vase, flowers and background on the paper lightly in case I need to move something. Here’s a close up. 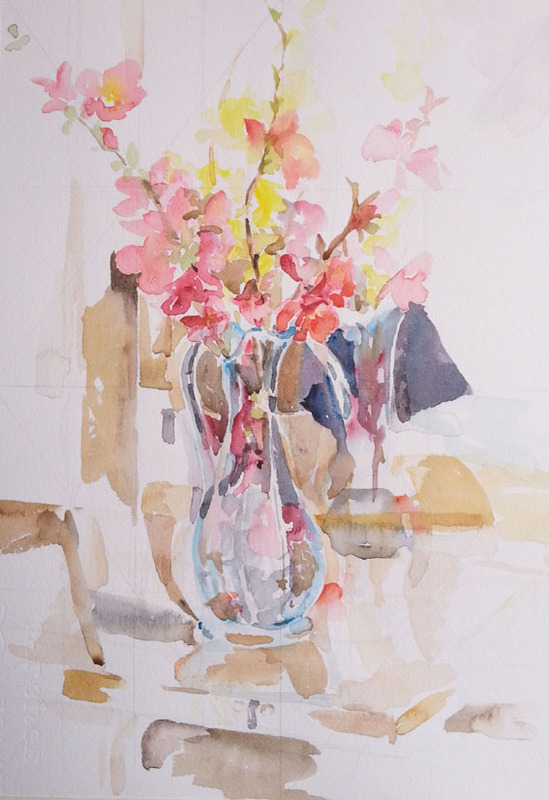 I paint little pieces of what I see, I try to do it in one shot by putting the shape and color down just once and not going into it again to keep the watercolor fresh and untortured. 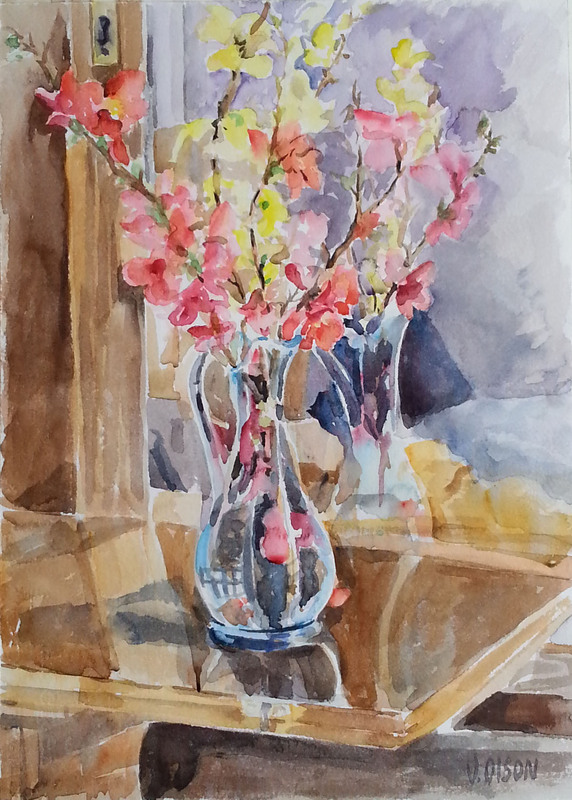 In this watercolor, I put a grid on the paper to keep my parallel lines parallel. I work around the paper, trying to place everything down in one shot, only painting in the white areas until the paper is filled in. I continue painting on the white of the paper until everything is filled in, respecting the whites though. Once the I’ve covered all the white, then I go back in and work on any area that needs more detail or contrast. 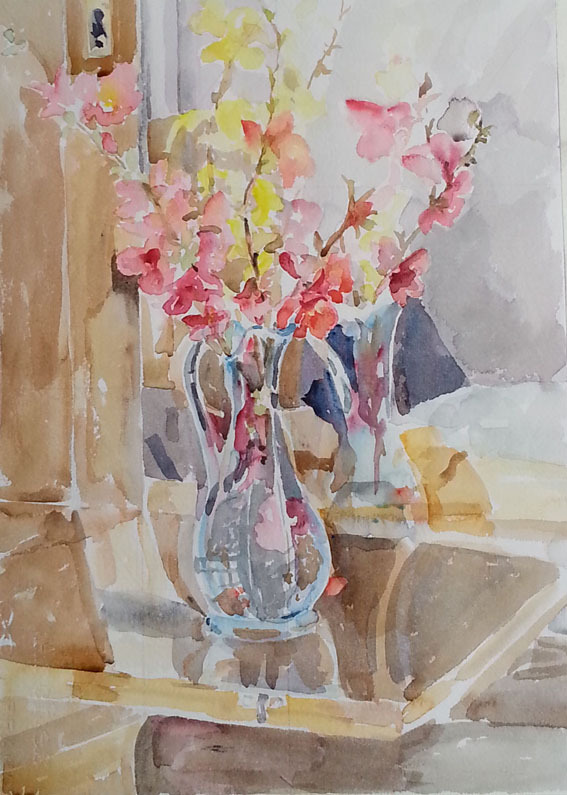 This entry was posted in The Watercolor Art Making Process and tagged #watercolor painting tips. Bookmark the permalink. Absolute luminous and lovely, as your work consistently is!